Amazonite is a green variety of microcline fledspar. Although the stone was named after the Amazon River due to similar green stones being found in the region, Amazonite is actually found in the Ilmen Mountains in Russia and has been most recetly found in Pike's Peak, Colorado. 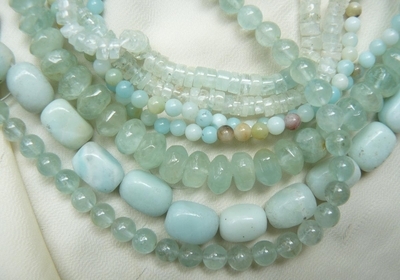 The blue-green hues of our Amazonite would make any jewelry piece pop!